This document formalizes the Nevada State Archives’ commitment to the preservation and accessibility of government records created and maintained in a digital environment. State government is increasingly conducting its business in electronic formats, so it is imperative to the archives’ continuing mission and statutory requirements to determine the best possible methods to preserve, maintain, and make accessible records in its legal custody. Archival electronic records pose unique challenges to maintain their authenticity, reliability, and trustworthiness over time. Digital preservation is responsible for identifying, securing, and providing the means to preserve and ensure ongoing access to electronic state government assets. Digital assets are those electronic objects that have been identified as having enduring cultural, historical, legal, fiscal, operational, informational and/or evidentiary value to the State of Nevada. Digital assets will be evaluated in accordance with records retention and disposition schedules and appraisal of its permanent value to the State of Nevada. Examples of digital assets include relatively simple formats such as word processing documents, spreadsheets, digital publications (which are part of the State Library’s digital collection), or digital images. Complex application-specific digital assets examples are email, websites, databases, and geospatial datasets. Digital preservation differs from analog preservation in several ways. The primary difference is that digital preservation requires active management. Digital materials that are left unmanaged or migrated for long periods of time are much more likely to degrade beyond recovery. Unfortunately, this degradation is generally not discovered until there is an attempt to retrieve the item. Digital preservation is a new and rapidly evolving methodology with standards that are still being created. Technological obsolesce is an on-going risk that agencies must continue to address through migration strategies. 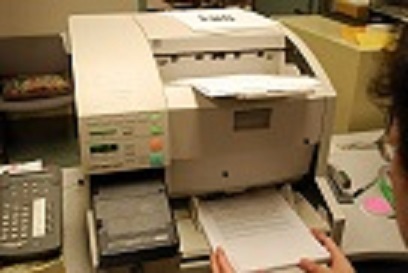 The State Archives will accept electronic records identified as having historical value and will cooperate with agencies in preserving and accessing electronic records maintained in agency custody. State archives staff, in conjunction with agency staff, will determine the best method of preservation after analysis of the formats, proprietary software, specialized hardware, technological obsolescence, and other considerations. In order to safeguard the rights of citizens and ensure the public trust, records management cannot be an afterthought; instead, all state and local government agencies and offices must prioritize records management. Save electronic records in reliable, open formats such as PDF and PDF/A or OpenDocument Text. Avoid compression for records which may have historical value or may need to be accessed more than five years in the future; upgrades in computer technology will likely make compressed files more difficult to view in the future. Assume that any documentary material you create is a government record until you have heard otherwise from your agency records officer or the Records Management staff. Follow all applicable laws. Develop retention schedules that document what records your office maintains. These are helpful in establishing where records are and how long they must be kept. In a disaster, both of those elements will be important. Avoid splitting copies of electronic records between local workstations and network storage. This will make it more difficult to confirm which constitutes the record copy if a legal challenge arises. Conduct regular reviews of your electronic record holdings. These could occur on an annual basis. Digital content tends to require migration at least once every decade. Consequently, at-risk files or file systems should be identified during regular reviews and migration should be assessed before relevant vendor contracts expire or systems become obsolete. Focus on the security of your network and the rights of your records stored in the cloud. Contracts should explicitly specify that the government retains ownership of any content in the custody of a vendor. Before contracting with a provider of digital records management solutions, consult with the Records Mangement staff and ask for references and reach out to others who have used that vendor in the past. The following table represents the digital formats that the Nevada State Archives will accept for transfer from state agencies. State government records, regardless of format, must be listed on an approved retention and disposition schedule that states transfer to the state archives. Only noncurrent government records that have met their retention requirements will be accepted into the state archives. After acquiring any digital assets, the Nevada State Archives will define the level of preservation appropriate to each type of format. Formats designated for long-term or permanent retention must meet the minimum requirements including documentation, wide adoption, transparency, self-containment, and use within the archival community. Encrypted or password protected files will not be accepted. The Transfer Manifest must be included with the transfer.